We use the well-tempered scale. It has twelve 12 tones within the octave. 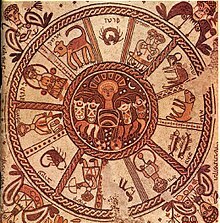 There are 12 zodiac signs. We have four types of triads. They are major, minor diminished and augmented. The zodiac has four elements, They are earth, air, fire and water. Earth is dense. The diminished triad is the most compact. Fire is the most effusive of the signs. An augmented triad is the most expansive of the triads. Water and air parallel minor and major respectively. They fit in their size of 7 half tones from the first note between the earth and fire triads. Earth uses 6 half steps, fire uses eight. In music, a triad is a set of three notes (or “pitches“) that can be stacked vertically in thirds. The term “harmonic triad” was coined by Johannes Lippius in his Synopsis musicae novae (1612). Speaking of triads, there are three categories of zodiac signs. They are set by cardinal, fixed and mutable. Cardinal is the month that begins a season. Like the 1st month of Spring under Aries is cardinal. Fixed is the second month of the season. It is Taurus in Spring. The third, a mutable zodiac sign, ends the season. It is called mutable because it prepares for the next trio of the summer zodiac months. This last month of Spring is Gemini. When listening to music: Leo delights in excitement and warmth of feeling. The music can be either very romantic with a slow pace or quick and fiery. Music must be heart felt. Honesty of expression is important. Leo does not like to play “second fiddle”. Among the recommended instruments for expression as a musician we could include: trumpet, flute, piccolo, piano or saxophone. In performance Leo should overcome a tendency to be the center of attention by playing either too quickly or too loudly. Naturally, solo work is preferable to working with an ensemble for this regal sign of the Sun. Please feel free to share this post. 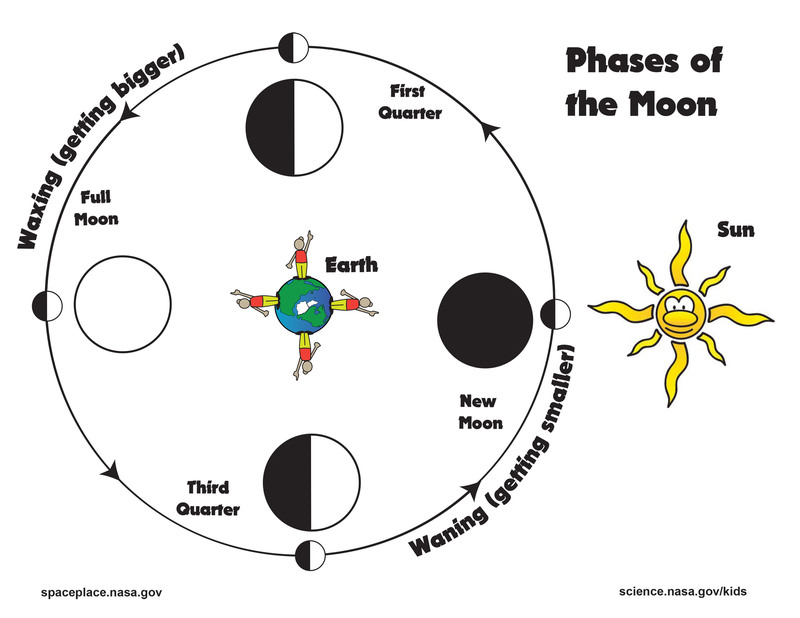 Four Aspects of the Moon and Four Types of Musical Triads. Time is cyclic. A cycle may be divided into four distinct parts. I call these the four aspects of time. The four aspects of time are continuous. One part of the cycle follows the other in the same order over and over. If we know what point the cycle is at, we can predict the next point. Just for the sake of starting somewhere in the cycle of time, I listed the up swing of the cycle first. The winding up of a cycle is the increase of cyclic activity. The maximum point at which cyclic activity is the greatest is most intense. After maximum intensity, the cycle unwinds. Finally, the point of least activity is reach. Tension disappears. Immediately after this point, the cycle starts another upswing. Four aspects of the Moon can be compared to the 4 types of musical triads. Next we have four types of triads. From smallest to largest they are: Diminished, major and minor, and augmented. Diminished is the most contracted. Counting from the first note, in root position, it has six half steps up to the last note. Major and minor triads are middle of the road. The have 7 half tones from the first note up to the last. Finally, augmented is the largest. It has 8 half tones from the first to the last. The new Moon has the least light. The diminished triad is the smallest triad. It has the 6 half tones as described above. The full Moon has the most light. The augmented triad is the largest triad. It has the 8 half tones. The waxing and waning Moon are neither the smallest or largest aspect of the Moon. They are in between. They correspond to the major and minor triads respectively. The major would represent the waxing cycle. The minor represents the waning cycle. Major and minor triads both use 7 half tones from the 1st note. Four aspects, be they four elements, the cyclic view of time, or musical triads- all correspond. The goal is to seek a grand unity of science and art in the same manner as did Neolithic and pre-Neolithic cultures. In unity we find harmony and co-operation. Astrological Trine Stems From the 3 x 3 Number Square. The astrological aspects are noted in the central circle of this natal chart, where the different colors and symbols distinguish between the different aspects, such as the square (red) or trine (green). A trine (abbrev. Tri) is an angle of 120° (1/3 of the 360° ecliptic), an orb of somewhere between 5° and 10° . The trine indicates harmony and ease. The trine is a source of artistic and creative talent, which is innate. The trine has been traditionally assumed to be extremely beneficial. How Does the Astrological Trine Tie into the 3 x 3 Number Square? The trine has an angle of 120°. Multiply the numbers 1 thru 5. Thus, 1 x 2 x 3 x 4 x 5 = 120. You have your trine by number. Now, add the same numbers 1-5. Thus, 1 + 2 + 3 + 4 + 5 = 15. We have the following congruence with this sum. Any row of three numbers on this square totals 15. For example, added horizontally we see that 4 + 9 + 2 = 15. Vertically we get the same totals as 4 + 3 + 8 = 15. Diagonally, likewise the same. 4 + 5 + 6 = 15. You can find fifteen in eight different ways on this square: Three diagonally, three vertically and two horizontally. We now have 8 x 15 = 120. Here is yet another congruence with the 120 astrological trine number. As you already have read above, the elliptic orb is somewhere between the boundaries of 5° and 10°. We have the following on the square of thee with the numbers of these boundaries: The central number is five. Any two opposite numbers are 10. An example being (4 + 6) or ( 9 + 1). At one time knowledge was based on number squares. This includes the knowledge of the sciences and arts of mankind. As mentioned, the trine has been traditionally assumed to be extremely beneficial. It too, is associated with a number square, being 3 x 3. I say, to understand a more peaceful past, at which time the cycle of yin dominated the world, study number squares. It seems that most of this knowledge was destroyed when the Library at Alexandria, Egypt was burned down. My work on number squares has been self-directed. However, my source for the existence of more peaceful times is Riane Eisler who wrote, The Chalice and the Blade. Her book is well worth reading. Riane Eisler. Riane Tennenhaus Eisler (born July 22, 1931) is a cultural historian, systems scientist, educator, attorney, speaker, and author whose work on cultural transformation has inspired scholars.